On the morning of July 6 2005, Sabir Bham stood at Liverpool Street Station in the heart of the City of London. Later that day Trafalgar Square, just a few miles away, would erupt in celebration as the capital was revealed as the host of the 2012 Olympic Games. Exactly 24 hours later, a Circle Line train travelling from Liverpool Street would erupt under the explosion of the first of four bombs planted on tube trains and a bus in London by extremists acting falsely under the guise of Islam. In two days two events that would shape the next seven year’s of Bham’s life occurred. Over the following weeks, a number of high-profile arrests of residents were made in his local borough of Waltham Forest in relation to the attacks. As Bham shook the hands of overall winners and Olympic champions Bradley Wiggins and Jessica Ennis at last month’s BBC Sports Personality of the Year awards – after being named one of the top three regional Unsung Heroes of 2012 – he was safe in the knowledge that the grit, determination and self-sacrifice in his achievement rivalled those of the sideburned cycling champ or the woman made of Sheffield steel. While there may not have been the glamour of a cycle down the Champs-Élysées, Bham has put in the effort leading projects since he was 14 using football to promote social development and reduce crime. 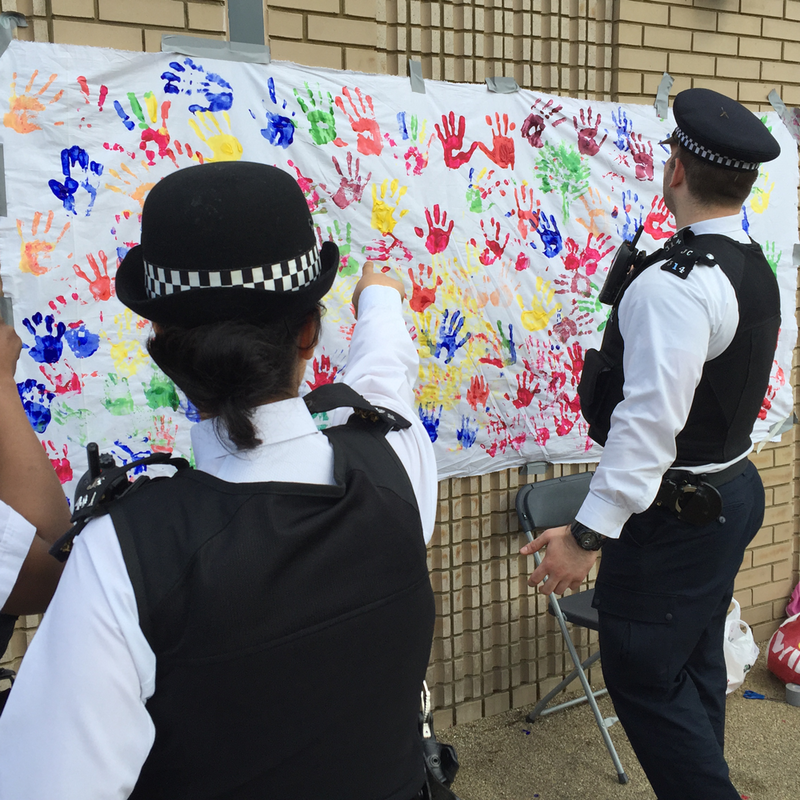 Shortly after the 7/7 attacks, Salaam Peace was set up by Bham following discussions with the Metropolitan Police Service, the Home office, social business Catch 22 and community groups to support the implementation of the Government’s Prevent Violent Extremism Agenda in east London. 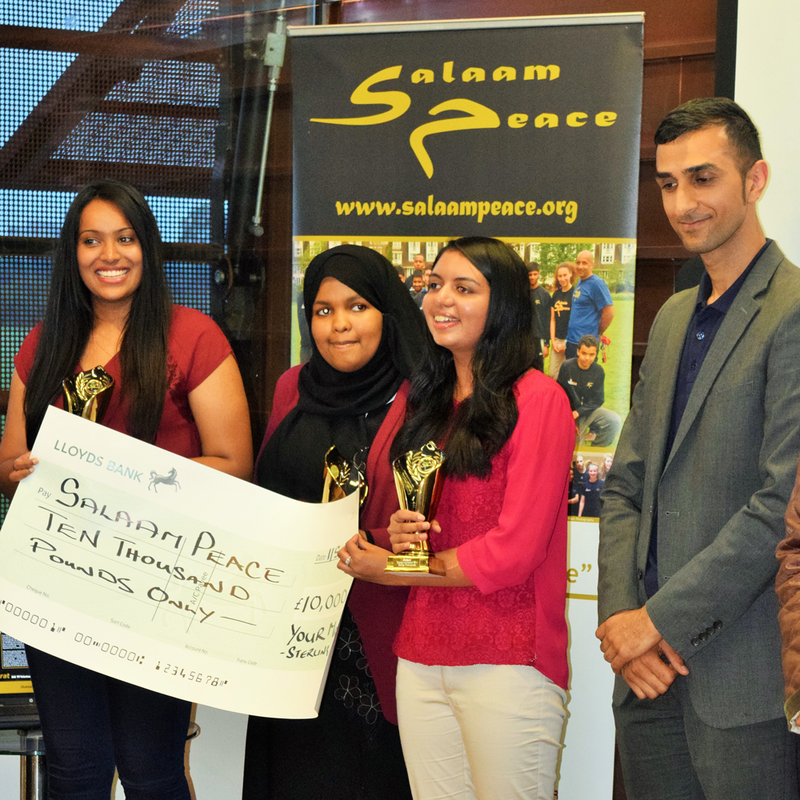 Salaam Peace is using a number of tactics to both promote the positive elements of Islam and develop opportunities for its members to volunteer, train and gain work. Football programmes including the Friday Floodlights League developed in the local communities of Waltham Forest, Hackney and Haringey – just stones throws from professional clubs including Arsenal and West Ham United – have been built upon with gym, cycling, basketball, hockey and cricket initiatives as well as homework clubs, volunteering programmes and mentoring. Bham explained how he has been a significant journey as coach and mentor to reach this point. Bham, who grew up in Hackney and now lives in Waltham Forest with his four children, says the game inspires unity. Marlon, a Salaam Peace participant and student, says Bham has proved a role model to turn his life around. One of the organisations key initiatives has been the Inter-Faiths Cup, the one day event encourages young people of all religions to participate and build links in the community. 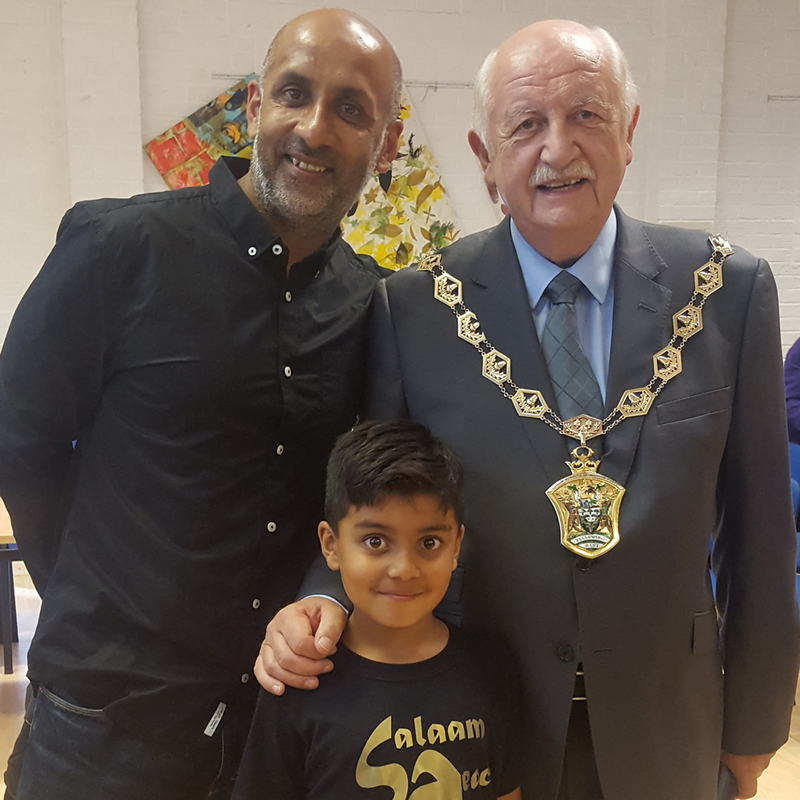 Bham believes events such as the tournament, as well as the Eid Cup and the Football Against Racism in Europe (FARE) Action Week and support from local Imams and volunteers, have helped smash down walls between communities built up by the newspapers and television. “The challenges Islam and British Muslims have faced since 7/7 have been largely fuelled by the media. We have supported developing dialogue between the police, the army and the community as a whole not just Muslims,” he added. Bham is clear that changing the perception of British Muslims after the damage done to the religion’s reputation worldwide will not be easy however, community projects will provide the heart of a concerted effort. While the Olympics Games legacy just a few miles away may have had Seb as its chief organiser, Sab will be safe in the knowledge that the young people saved by the programmes he has organised will provide an extra sparkle to his Unsung Hero gong to rival Lord Coe’s Lifetime Achievement award.